Stepping foot on Croatian soil was a breath of fresh air. It still has those old fashioned values where people are nice to one another and they greet you with a smile when you say hello. They care whether you are having a good time or not and give you water with your meals and coffee. They don’t charge you a €3 sitting fee or inflated price just to sit down at a table. Everyone is welcome and everyone is a friend. This Croatia travel guide will help you plan your next vacation. If you tend to venture off the beaten path, beware of unexploded minefields in inland areas like Eastern Slavonia, Brodsko-Posavska County, Karlovac County, areas around Zadar County and in more remote areas of the Plitvice Lakes National Park. Croatia is not expected to be mine-free until 2019. The mines are not in tourist spots and chances that foreigners would visit many of these places are slim. But if you plan on heading to any of the aforementioned areas, stay on cultivated paths and look out for warning signs. Haggling is not the norm but can be done when shopping in local markets; do not try to haggle in other instances, for example taxi fees. Island hopping up and down the Croatian coast by commercial ferry is neither easy to plan nor an efficient mode of transport. The north-south ferries (Rejeka to Dubrovnik) run only two times/week. In high season, combine coastal ferries with local catamaran service to island hop independently. Dubrovnik Tip: Do not walk the City Walls in the middle of the day as it hot (offering no shade) and crowded, especially if cruise ships are in town. Go early in the morning or late in the day. Croatia has two climates; one along the coastline, and one for the interior of the country. The coast has a typically Mediterranean climate consisting of hot, dry, sunny weather during summer, and relatively mild (and sometimes wet) weather in winter. The interior winters can be pretty cold. Snow is very likely, and can be pretty heavy during the winter. On the other hand, the summers can often be sweltering hot and with no cool ocean breeze, it at times, can be a little unbearable. Water bottle – many towns have public water fountains that have been around since Roman times. During the sweltering summer heat, fill up your bottle and cool off while also saving a couple of bucks! Swimming suits (plural!) 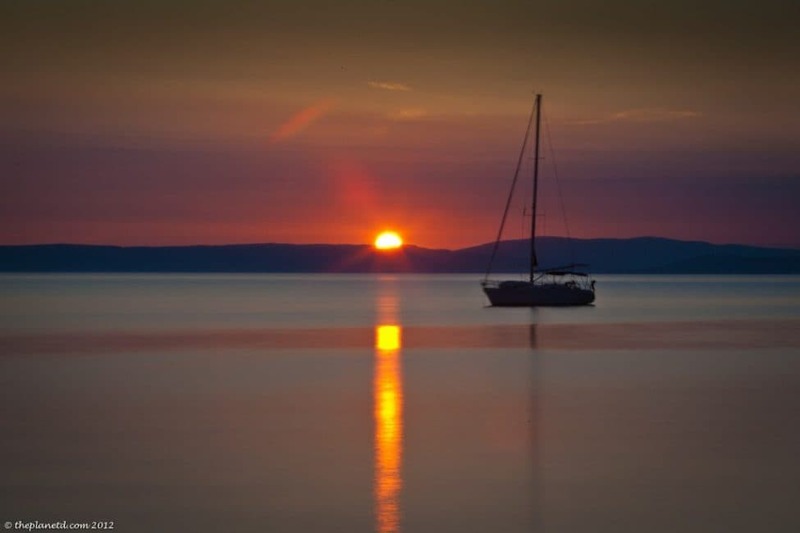 – Croatia is all about frolicking under the sun, lazing at the beach or taking a dip in its pristine waters. Make sure to bring more than one swimsuit as no one likes putting on a damp suit! Towel – Many accommodations may provide bathroom towels, but beach towels are usually not provided, at least not without an additional fee. Check out more Packing Tips for your next trip to Croatia. Kayak through Croatia – take an 8 day excursion and visit several of the country’s 1000 islands containing ancient cities with narrow passageways and medieval buildings, old churches and Roman archways. Visit Plitvice Lakes National Park – the park is the oldest national park in Southeast Europe and the largest national park in Croatia. It contains a series of beautiful lakes, caves and waterfalls.